Posted by Ada Wang on 11/28/2018 11:49:15 AM. 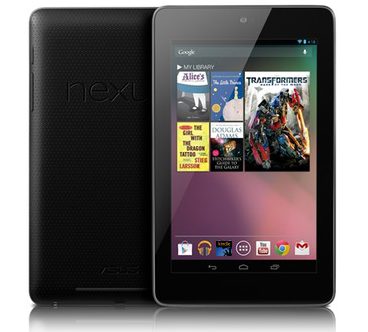 Google Nexus 7 has been a mega hit in the 7-inch tablet market ever since its release July 26, 2013. Coming with a resolution of 1280*800 pixels, it is almost the best tablet for reading, which overtakes a lower resolution of 1024 x 768 pixels on iPad mini, and beats Amazon Kindle Fire HD together with Nook HD with more options for eBooks out of its open & pure Android OS. We may not buy tablets from Amazon, but it is inevitable to talk about Amazon Kindle books when it comes to reading. After all, Amazon is the store that delivers the most eBooks & free eBooks in the market and more people buy eBooks there compared to other eBook stores like apple or Barnes & Noble. So what if one of the best Android tablets meets the eBook tycoon? This guide will tell you how to read Kindle books on Nexus 7. The typical way to read Amazon Kindle books on Nexus 7 is by installing Kindle for Android app. However, you might find this is not what you are looking for after checking other Android apps for Nexus 7. I will show two methods to read Kindle books on Nexus 7 in this article and then you will figure out which one is better. Make sure your Nexus 7 is connected to your Google account and there is Internet connected. Tap "Google Play" icon (shopping bag) on the tablet, search for "Kindle" then tap "Install". Accept and download when there are any warning pops. Register the app with your Amazon account, you will get your Kindle books on Nexus 7. Regardless of the reputation, Kindle for Android app is not an ideal reading app. A big defect is that it can't read Kindle books to you, which actually counts much for people who have eye problems (strain) or like reading on the go (driving). On the contrary, there are a couple of free apps coming with richer features and better performances, such as FB Reader, which belongs to Android apps to read Kindle books to you with multi-language supported: English, Spanish, French, German and Italian and offer a collection of extra features: multi formats support (Kindle MOBI, EPUB, FB2, TXT, etc. ), book info edit (title, language, encoding), free-book fetch, CSS customization, book / content sharing, font size zooming (little-by-little) and so on. As Amazon Kindle books are typically protected by Kindle DRM, we can't directly use FB Reader to read Kindle books on Nexus 7. So we need to strip Kindle DRM restrictions first, then add the DRM-free books to Nexus 7 and read with FB Reader. Step 1: Download Epubor Kindle DRM Removal and use it to remove DRM from your Kindle books. Step 2: Connect Google Nexus 7 to computer with the USB Cable and it will be detected as "Nexus 7" drive. Create a folder named "FBReader books" under the root path (under "Internal storage") and copy & paste the decrypted Kindle MOBI books to it. Note that if the extensions of the decrypted books are AZW or AZW3, directly rename them as MOBI. Or refer to this guide to convert them to EPUB with Calibre. 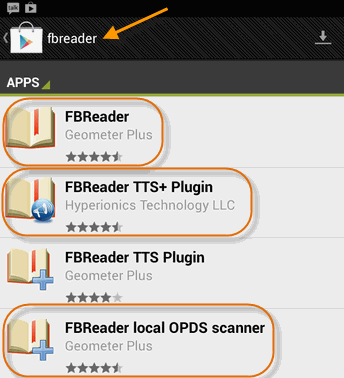 Step 3: Launch Google play on Nexus 7 and search for "FBReader", there will be many results displayed. Tab "FBReader", "FBReader TTS+ Plugin" and "FBReader local OPDS scanner" respectively to install. They contribute to the full features of FBReader. Step 4: Launch FBReader and read books. Note that when the app is run the first time, there will be some tips and the five menu options may not fully display. Tap library (1) icon at the top of the screen, then "File tree" -> "Memory card" to locate the created "FBReader Books". Tap one mobi file to open. 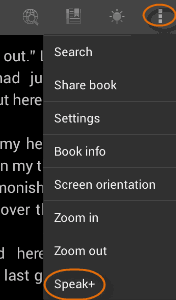 Select "Read" icon to read books and "EDIT" icon to edit book metadata. Set interface language, screen orientation, screen brightness adjustment and so on. You can customize the background, set the colors of background, search results background, regular text, hyperlink text, visited hyperlink text, footer, selection background and selected text. Set left / right / top / bottom margin. Customize "Touch screen page turning", "Double tap detection", "Turn page with volume keys", "Invert volume keys direction", "Animation", "Animation speed" and "Horizontal scrolling". Set "Dictionary" (version), "Translator" (version), "Navigate over all words" and "Long tapping action". Note that you need to download the dictionary manually. This is a wonderful feature of FBReader, which enables users to decrease / increase font size little by little. There will be a dash automatically added when necessary. If you have any problem, head to "More" -> "Settings" -> "Tips" for help. Let Kindle books read to you on Nexus 7! Tap more icon in the upper right corner and select "Speak+" to start TTS (text-to-speech) function. US English and UK English are available by default. We can also select "Set Language" then "Add a new language" to download another 4 language packages (Spanish / French / German / Italian) manually. Thus we can let Kindle books both in English and in Spanish / French / German / Italian to read to us without restriction. And this function is totally free and without any ads! Awesome! As you see, we can customize the rate, pitch and volume of speech. Select "Reset TTS" if necessary. Tap "More…" icon to set "Additional pause at paragraph end (ms)", check or uncheck "Highlight spoken text", "Start talking when headset", "Start speech from headset key when FBReader is on top", "Show read by word options" and more. Tap the last icon on the control bar to minimize / restore the TTS panel. 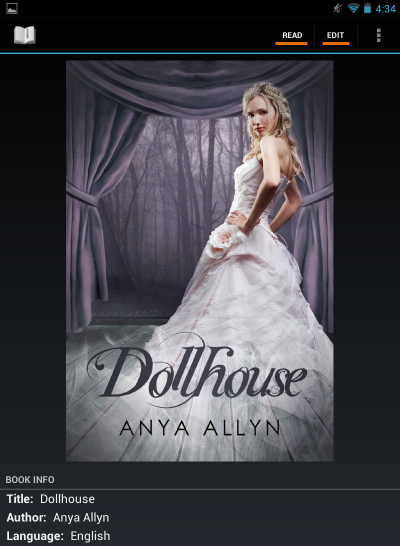 Have you found FBReader makes it so nice to read Kindle books on Google Nexus 7? Although it has some minor shorts (words selection), you are likely to get used to it after a period of usage. And we will save a lot on audio books! Thanks for the auspicious writeup. It in fact was once a amusement account it. Look complicated to more delivered agreeable from you! However, how can we keep in touch?